Please give us your contact information and we will email you our illustrated pamphlet containing all the steps of the church master plan process. The text below contains a step-by-step description of how our firm prepares a church Master Plan. This proven process is based on decades of experience preparing Master Plans for churches of all sizes and denominations. If you would like to download an illustrated pamphlet containing all the steps in the process, click here to download it for free. One of the key aspects of the Master Plan is that it is a long-range plan. Far too many congregations have rushed to a solution to a current, pressing need only to thwart possibilities for better solutions to other or future needs. Most churches will be around for many generations. 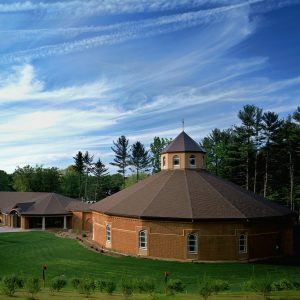 With the ever-increasing cost of construction, few congregations can afford to build more than once a generation. 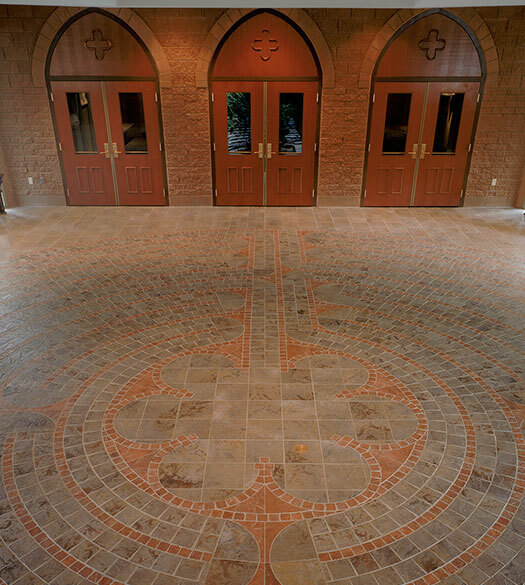 Therefore, it is imperative that every building project be planned with an eye to the future. This may mean planning for flexibility, additions, conversions to other uses or any other ways of meeting future needs. The church that only builds for today will surely live to regret doing so within a relatively short period of time. 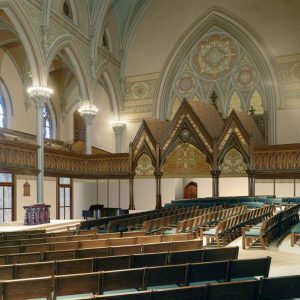 A Master Plan allows a congregation to take the first tentative steps toward a design solution without committing to a full architectural contract. 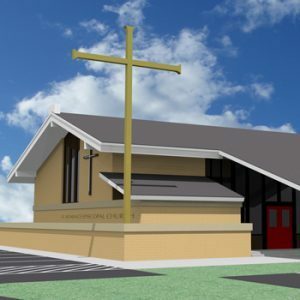 The cost is relatively low, especially when compared to the high cost of constructing something that prevents future expansion of the church facilities. 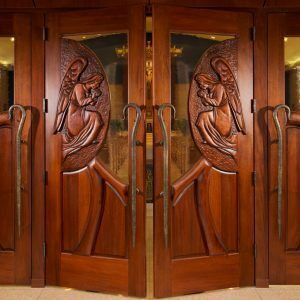 One of the most challenging journeys in the life of a congregation is the process of renovating or building new facilities. When you are planning a journey, it helps to have a general idea of the direction you are heading. Oftentimes, the church’s leaders have a vague idea of the direction their congregation may be heading. Perhaps it is a renovated worship space or a new education building or additional space for fellowship. No matter how small or large the finished project may be, the path to get there may seem long and difficult. Starting off on this journey without a map can lead to many wrong turns and dead ends. 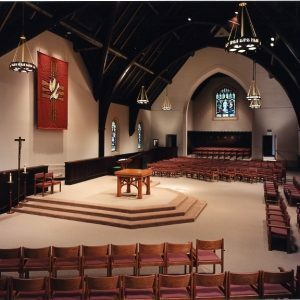 The Master Planning Process provides a roadmap for the journey of church building or renovation. 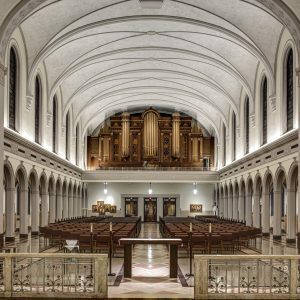 Determining the future of buildings that have faithfully served their community is a difficult and often painful process for those who have become attached to them. To be able to make sound decisions about these buildings, the church must have accurate, reliable information about the buildings to help them in their decision-making process. It is essential that this part of the process be done thoroughly and carefully by professionals experienced in building evaluations so that the resulting information allows for fair and reasonable assessments of the buildings. Building System Analysis: A complete analysis of the physical condition of the existing buildings and site, including the following systems: structure, building envelope, interiors, HVAC systems, electrical systems, plumbing systems, and capacity and adequacy of parking. Analysis of Compliance With Regulatory Standards: The fire- and life-safety aspects of the buildings are evaluated. Areas where energy conservation and access for the disabled are not in compliance with current codes should also be noted. Ratings and Cost Estimates: All recommended repairs and improvements are prioritized according to urgency. For systems that have damage, but are repairable, an estimated cost for the improvement should be provided. 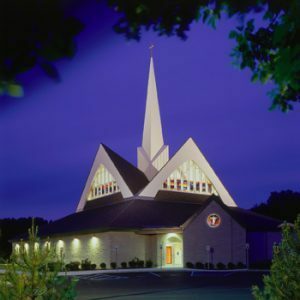 Phase I Report: This report documents all of the findings, describing present conditions and deficiencies of the facilities and is submitted to the Church for their review and discussion. If you would like to see a sample Phase I report, please contact me by email and I will send you a recent report. Most reports are between 10 and 15 MB so please be sure your email service can handle an attachment of that size. One of the most important steps in this process is accurately identifying programmatic requirements. Meetings will be held with the various groups and users in the church to determine specific programmatic requirements. The Architect will also want to hear from the members of the congregation about what existing spaces need to be improved or enhanced. 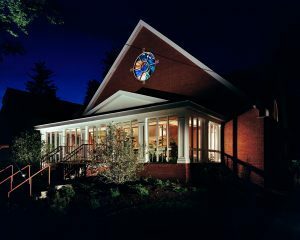 Identification of Program Needs for Church Life: Meetings will be held to obtain detailed information about church resources and programs. These conversations will help to prioritize the church’s needs, which is critical later when working on design solutions. Space Program Development: Based on the information that was gathered through meetings, a space program suggesting space sizes, configurations, and physical parameters to support the functional requirements will be developed. Phase II Report: This report will document the conversations held and the information gathered during this phase. While the Phase I Report will provide important data for evaluating what exists, this report will provide valuable data for what could be. The requirements identified in this report will serve as the yardstick by which alternatives developed in the next phase will be measured. 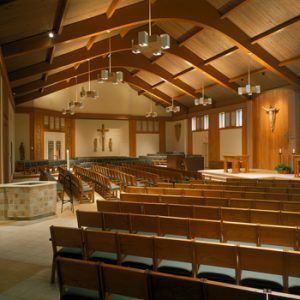 For Holy Family Church in Newark, DE, working with liturgical design consultant Michael DeSanctis, Ph. 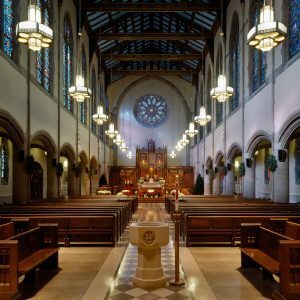 D., we prepared a document called “Architectural Program for Campus Master-Planning & Church Renovation”, which includes both Phase I and Phase II of the Master Planning process. You can download the draft version of that report here. 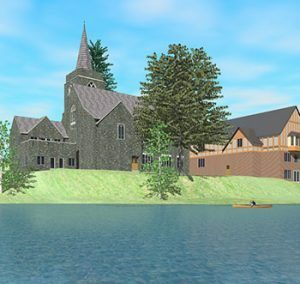 Development of Presentation Materials: Working with the Committee, the Architect will determine what presentation materials would be most helpful in communicating the concepts of the future Master Plan to the congregation. The necessary brochures and renderings needed for the consensus-seeking meeting will be developed and computer-generated graphics that help explain the project will be prepared. 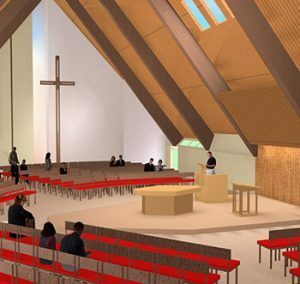 Finally, the work of the Committee will be presented to the congregation through a PowerPoint presentation describing the design. 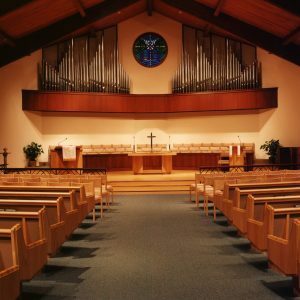 The Church-wide Consensus-Seeking Meeting: Along with one or two members of the Facilities Committee, the Architect presents the preferred alternative at the Church-wide Consensus-seeking meeting. In his presentation, he reviews the needs developed in the second phase of the process and demonstrates how the proposed solution meets these needs within the funding capability of the church. The presentation is followed by a question and answer period. Once all questions have been answered, a simple 2-question survey card is given to each attendee. These cards are filled out at the meeting so that by the end of the meeting, the architect and the Committee know whether or not they have consensus on the proposed Master Plan. If the Master Plan process has been well planned and executed, this is typically the easiest part of the whole process. 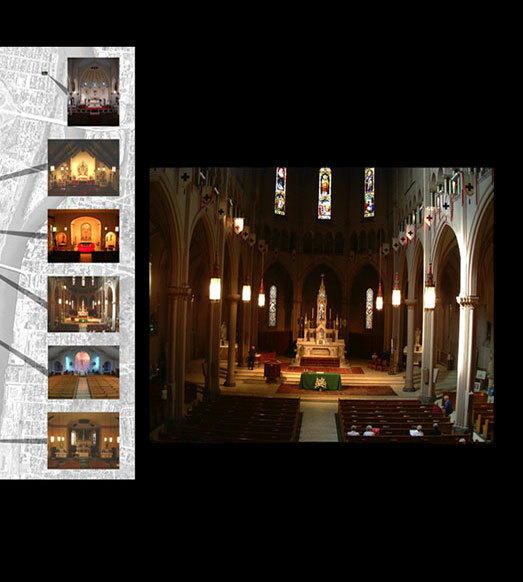 The final phase of the research feasibility analysis process is the documentation of a Master Plan for the implementation of the proposed improvements to the church facilities. 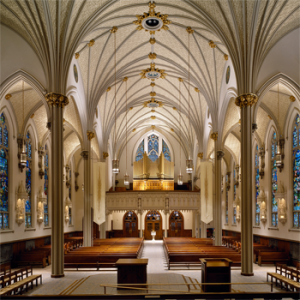 Once the “consensus solution” has been presented to the congregation, the Architect will document the results of the previous phases in a stand-alone document that provides a framework within which the people of the Church can realize their vision and mission as the family of God. 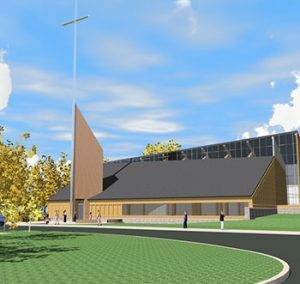 With the proper involvement from the congregation and creative and professional work by the architect, this Master Plan will be an important step in the life of the church. HOW LONG DOES THE MASTER PLANNING PROCESS TAKE? 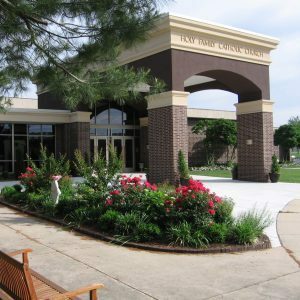 The duration of the master planning process varies greatly by congregations. Factors that affect the length of this process include the number of present facilities, the number of committees and ministries that need to be consulted, and the schedules of the church, the committee and the congregation. The most significant factor in the length of the process is how the particular church members are most comfortable discerning the kinds of decisions required for this process. 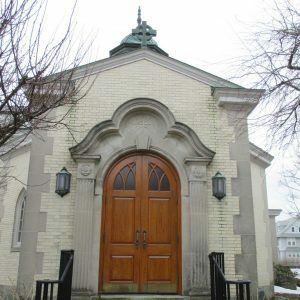 Some congregations have been mulling over and discussing their future plans for years and are eager to start putting things down on paper and moving forward. For other congregations, this process may be entirely foreign to them and it may take quite a but of time for them to feel comfortable with the process. Because of these various factors, we have seen Master Plans completed in anywhere from six months to two years. WHAT COMES AFTER MASTER PLANNING? The Master Plan provides a framework for the future steps in this process. 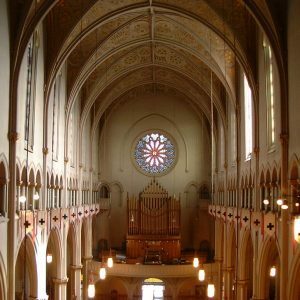 Some churches see the need for other internal work before they embark on the implementation of the Master Plan. 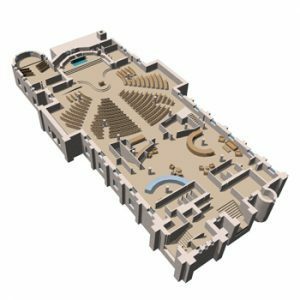 Many other churches are energized by the excitement of the Master Planning process and are eager to move directly into the implementation of either all or part of the Master Plan. If they are ready to proceed, the next step is usually a capital campaign to see what funds are available for implementation of the Master Plan. If money is already set aside for this work, the actual design work that is necessary for making the dream a reality can begin immediately. In any case, if properly executed, the Master Plan process will undoubtedly have a positive impact on the church and its members, as they have learned more about themselves and each other through this inclusive process.